Another part of the the Friends and Family BBQ Blowout Event was the food! A big part of course! We were able to team up with Ritz Crackers to make the day perfect! Bacon Ritz Crackers that is! Who doesn't love bacon, right? I bet you're wondering what we paired with these delicious crackers. Maybe you're thinking Ritz crackers are fine on their own. Either way, take a look at this recipe. So delicious and just barely worthy for a Bacon Ritz Cracker to be dunked in! This dip is so easy to make! Simply throw everything in the bowl and mix! You won't be upset with the end result! If you don't fancy a dip when you eat crackers, these Bacon Ritz are perfect by themselves! When I asked my daughter what one snack she'd enjoy in the car, her answer was "those bacon crackers in the red box!" What are you waiting for? Head out and grab a box already! They're too delicious to be missing out on! Oh wow, I did not know they had this flavor. I could spread some cream cheese on these and call it a day! OMG this dip sounds so good and bacon ritz i'm so in. I can't believe they are making Ritz crackers with bacon now. That is a genius idea because everyone loves bacon. Sounds different and interesting I would try it. 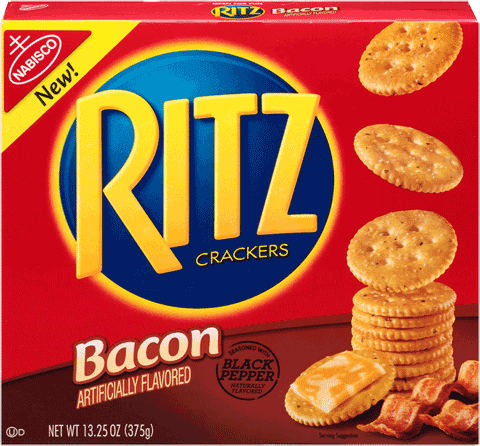 Love the Ritz crackers with bacon flavor added though, I bet those are amazing! Yum! 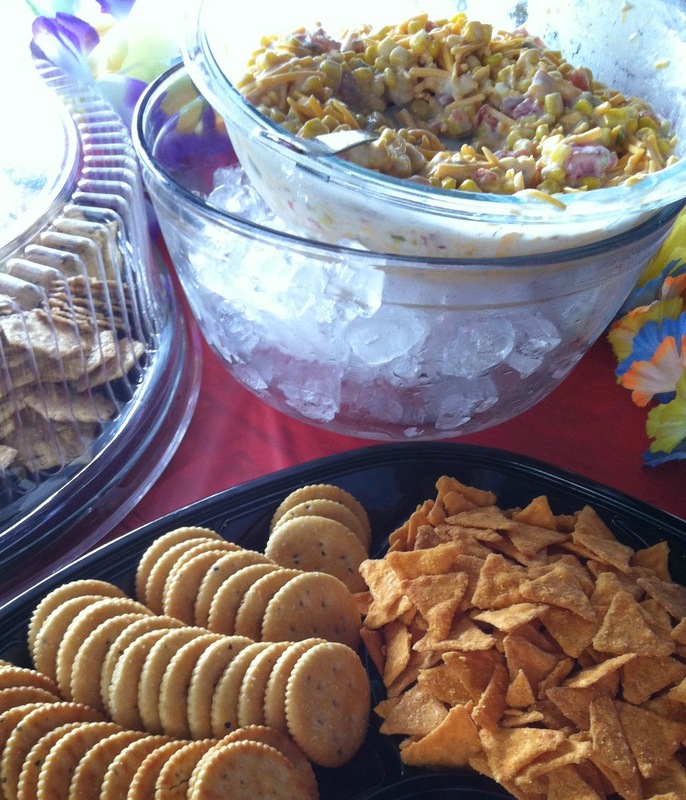 This is a great dip to take to a party. I will make note of it for all the fall parties we will be attending. You had me at bacon and Ritz crackers LOL But that dip looks pretty good, too! My boys are going to be so happy, they love Ritz crackers and bacon so I am sure we will have a box or two of these in the pantry soon. Next time we're out grocery shopping, I'll have to keep an eye out for those. Might be tasty with some spinach and artichoke dip, too. I don't know anyone in my family that doesn't like bacon. I just wonder if I would like it in a cracker like that. I need to get a box to let my family try them out. I've been curious about the bacon Ritz crackers. Now I'll have to try them! That sounds so yummy ... have not tried those but I bet that they are popular as loved as bacon is!! What an easy dip for a party. I might have to whip this up for a birthday party! I need to get one of those red boxes too! that sound like a great Friday night dinner. Quick and easy! Speechless. I had no idea Ritz made bacon crackers. Off to the grocery store! And where was this post last week when I needed a side to take to a picnic?! LOL Oh well, I'll just have to try it sometime soon instead. Sounds amazingly delicious, by the way. We love Ritz crackers and especially for football season. 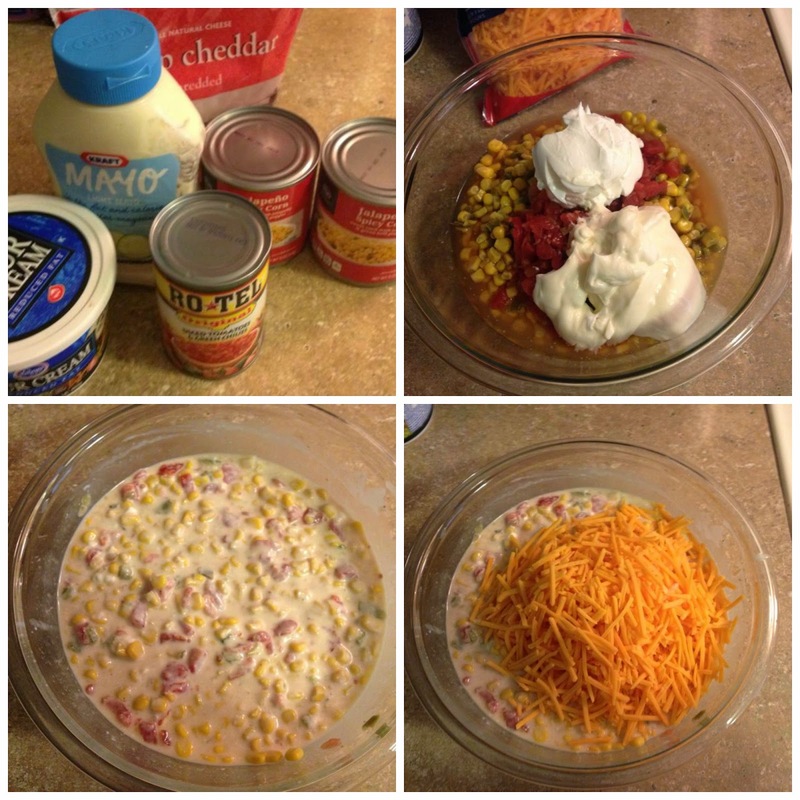 This dip looks like it would be quite tasty and something the crowd would enjoy on a Sunday. I love spicy and salty foods- adding Ritz is the sweet part. Heaven! My, Oh My! Bacon flavored crackers! Yes, please! I am definitely picking a box of these up next time I am shopping! What is in Rotel? I haven't seen it here so I may need to improvise. Ah that's a cracker that my boys would love with or without dip. I"m glad to hear it's around, that's be a good surprise to bring home. That looks rally good and I know anything that includes Ritz crackers and bacon is sure to be a hit with my little one. I didn't even know these existed! I've only ever had original Ritz crackers and I love them. I have to try this bacon flavor! Bacon crackers? Where are these at? I have never seen them! Yummy! This looks like such a unique and delicious recipe! I didn't even know Ritz made bacon flavored crackers or that there was any such thing as Jalapeno Spicy Corn! I would probably step up the spice a notch and use pepper-jack cheese instead of cheddar! It's my favorite :) Thanks for sharing this yummy recipe! This sounds awesome. I will definitely try it with the Holidays coming up and of course'everything is better with a Ritz". This sounds like something my husband would love. I'll have to tell him about these.